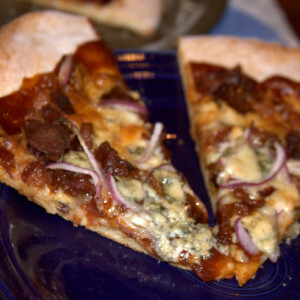 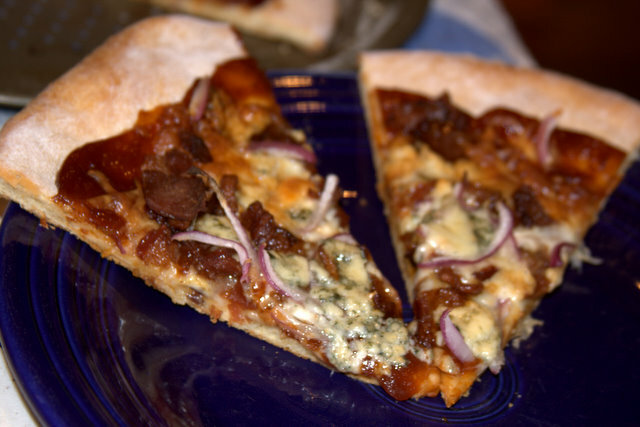 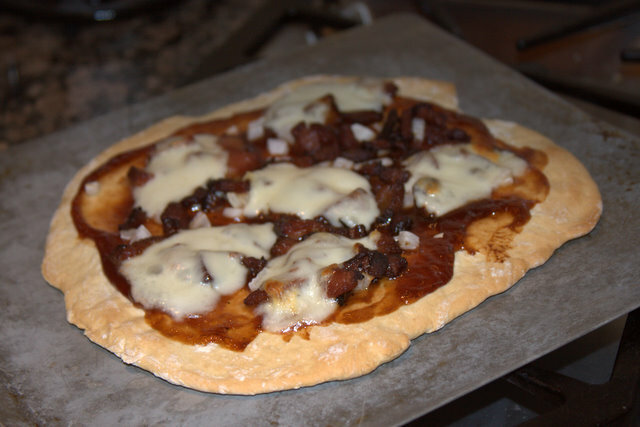 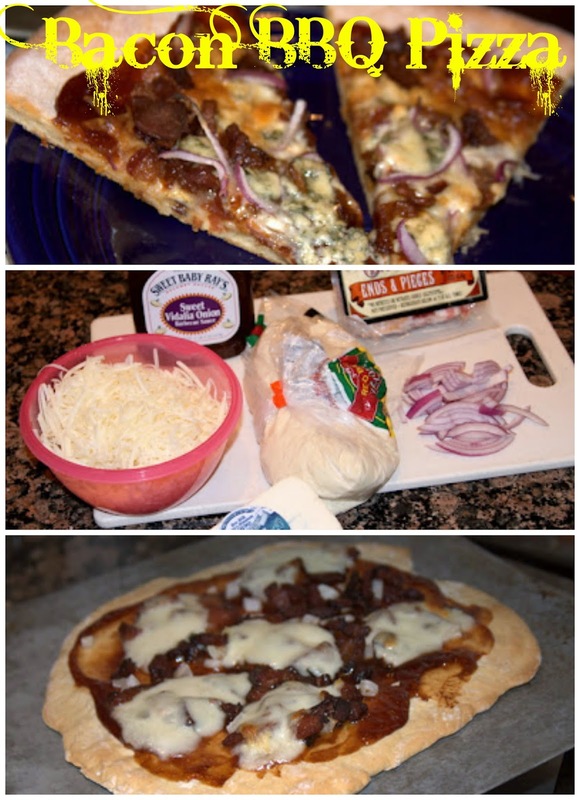 On your favorite pizza crust put some BBQ sauce (I like Sweet Baby Ray's) and thick diced bacon (I like this bacon http://www.traderjoes.com/fearless-flyer/article.asp?article_id=260) with diced onions and mozzarella cheese. 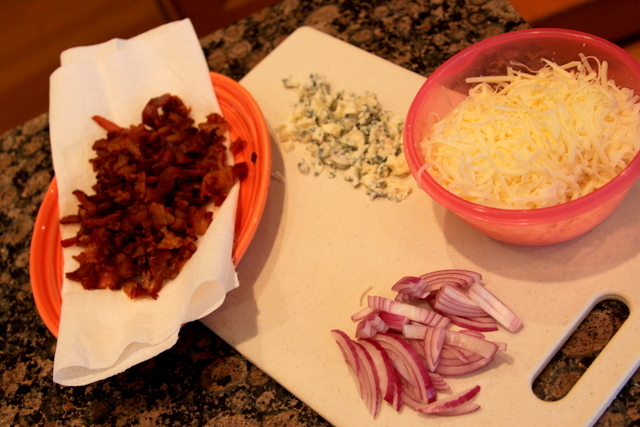 Bake till cheese is melted, we also enjoy some blue cheese on it. 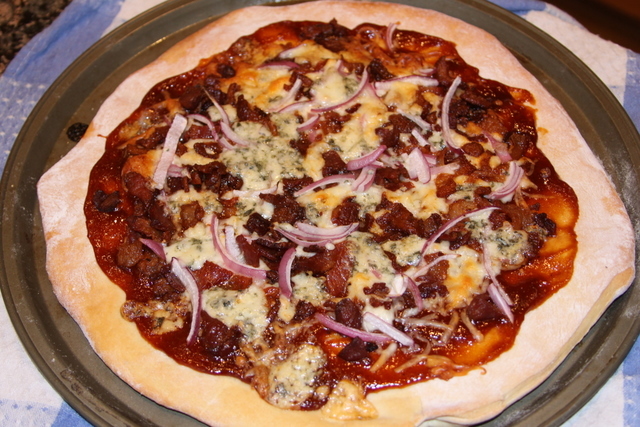 This time I used Trader Joe's already prepared pizza dough I usually make my own which you can find here. 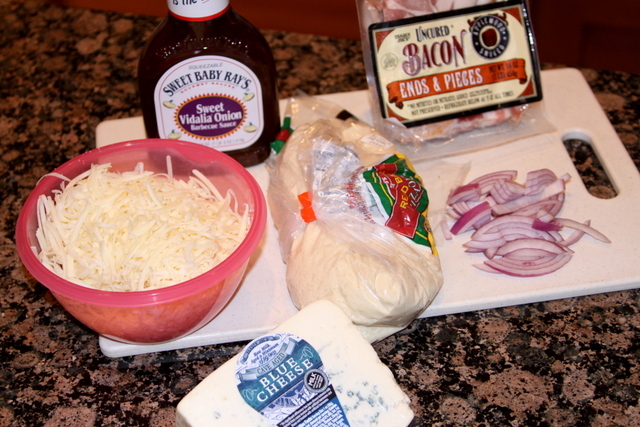 Here are all the goodness ready to be put on our crust. 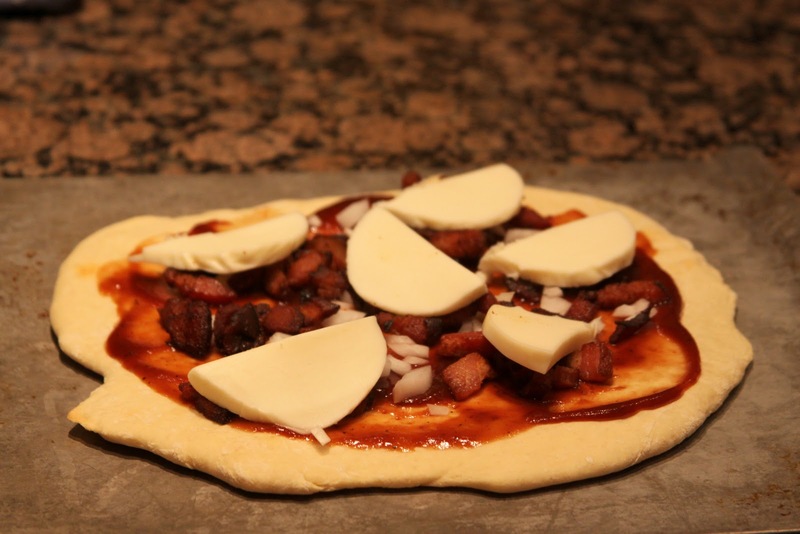 Above is before it is put in the oven and below is after. 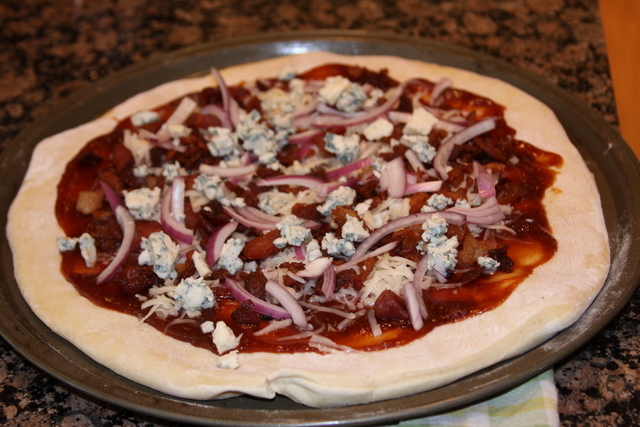 Then the pizza below is using my homemade crust and fresh mozzarella cheese.